Afternoon visit New Delhi (Designed and developed by the famous English architect Sir Edwin Lutyens (1869- 1944), visit Rashtrapati Bhawan (the official residence of the president of India), India Gate - a 42 m high stone memorial arch, the 12th century Qutub Minar, the mid-16th century Humayun's Tomb and the famous Lotus Temple in New Delhi. Overnight stay at hotel. 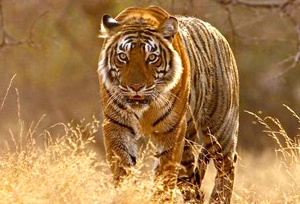 Ranthambore National Park is one of the finest and largest tiger reserves in Northern India and considered the best place to spot the tiger in wilderness. 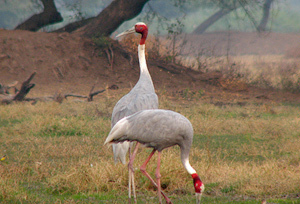 The park is also popular with the wildlife photographers. After breakfast drive to 'Pink City' as Jaipur is popularly known. On arrival at Jaipur check-in at hotel. Afternoon visit the enchantingly beautiful City Palace, a fine blend of Rajasthani and Mughal architecture, now housing a museum containing rare armories, manuscripts, and paintings. 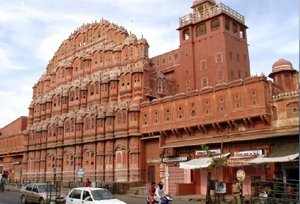 Next visit the Hawa Mahal (Palace of Winds), the landmark architecture of Jaipur built of pink sandstone. 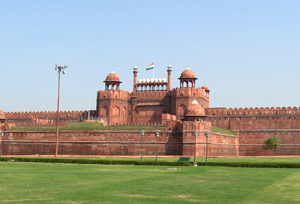 You will also visit the Jantar Mantar, an Astronomical observatory built by maharaja Jai Singh in 1728. Overnight stay at hotel. The picturesque capital of Rajasthan, Jaipur, is colour washed pink - the colour associated with hospitality in Rajput culture. Built in 1727 A.D. by Maharaja Sawai Jai Singh II, Jaipur displays a remarkable harmony and architectural splendour. The ancient heart of the Pink City still beats in its fairy-tale palaces, rugged fortresses perched on barren hills and broad avenues that dot the entire city. The only planned city of its time, a formidable wall encircles Jaipur. There is a timeless appeal to Jaipur's colourful bazaars where one can shop for Rajasthani handlooms and trinkets. 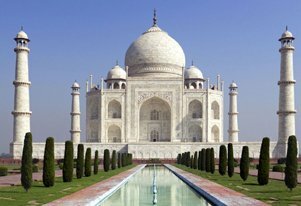 Beautiful laid out gardens and parks, attractive monuments and marvelous heritage hotels, once the residence of Maharajas, are worth admiration. Not to mention the ambling camels and cheerful people in multi-hued costumes make your trip to the pink city a memorable one.